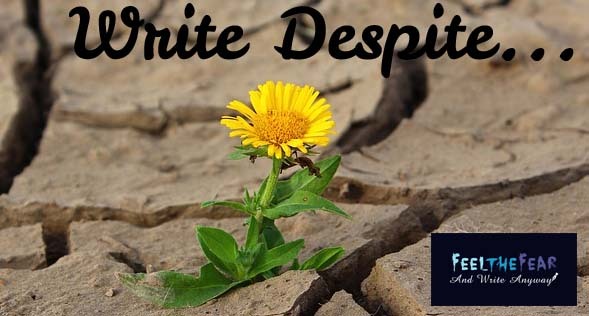 Write Despite. Meeting Rumer Haven, Carving Out her own Genre. Author Rumer Haven is on my Write Despite feature this week, talking about the special blend of genres that make up her novels, and her fears when she was starting out that her ideas wouldn't stretch to a whole book. Welcome, Rumer! Probably finding my voice and genre. I’ve always loved creative writing, but for a while there, my writing was primarily of the academic and business variety. I tend toward long, intricate sentences, and I had a graduate school professor once tell me that my writing was good but could be great if I would only relax it a little. I have also felt caught between the literary and commercial realms. I don’t consider my writing highbrow, but it’s not exactly a beach read either. And while my stories usually have romance, they don’t fit the formula of that genre. I think by now I’ve learned to embrace the hybrid genre. The stories just are what they are; it’s how they come to me, and I’d be hard-pressed to hack limbs off them just so I can squeeze them into one category or another. So while it can make it difficult to position myself to find the right audience, the more I write, the more I see the commonalities between stories, which makes the cross-genre easier to define (even if takes a few words to do so). As has become clearer to me from my first two novels, I trend toward contemporary women’s fiction with historical, paranormal and romantic elements. Gives me a lot to work with, and I’d prefer to continue mixing and matching versus pigeon-holing myself into any one. Streamlining my style is an ongoing challenge, yet I’ve found that it helps to pick up my pace when drafting. If I don’t let myself dawdle and dwell too long on the wordsmithing, and instead just push the story forward by writing faster, my language does seem to simplify and relax. Not having an idea that I could sustain across an entire novel. Since then, it’s fearing what others think of my stories—but in the beginning, I wrote for myself. I simply wanted to write a novel whether it would be published or not. And it took years to find that first idea, so I doubted it would ever happen. But once I did grab onto that first idea, subsequent ones flowed, which has been such a happy relief. Write. Just write. Don’t wait for the right time, don’t even wait for the right idea (like I did). Just write, and the words and ideas will flow from there. Staring down a blank page (or blank screen, in this day and age) is daunting, so write something on it, and it won’t be scary and blank any more! Ideas beget ideas, so even if your first draft is crap, trust me, there are diamonds in that rough. Pluck them, polish them, and set them in something stronger. But you can’t do that unless you have something to work with in the first place; you have to create the clay before you can mould it. And in my case, writing actually helped me work through difficult circumstances that threatened to squash my dreams. Instead, I achieved them…by just…writing. I’m presently writing a 1920s murder mystery. My first time dappling in that genre, so we’ll see how it goes! But it’s fun writing Roaring Twenties historical fiction again after my debut novel, Seven for a Secret. Twenty-six-year-old Margot sets out on a journey of self-discovery – she dumps her New York boyfriend, quits her Chicago job, and crashes at her friend’s flat in London. Rather than find herself, though, she only feels more lost. An unsettling energy affects her from the moment she enters the old Victorian residence, and she spirals into depression. Frightened and questioning her perceptions, she gradually suspects her dark emotions belong to Charlotte instead. Who is Charlotte? The name on a local gravestone could relate to Margot’s dreams and the grey woman weeping at the window. Finding a ghost isn't what she had in mind when she went ‘soul searching’, but somehow Margot's future may depend on Charlotte's past. Thanks so much for joining us, Rumer, and for your fascinating answers to my questions! Good luck with all things hybrid. Posted in All About Reading, Feel The Fear And Write Anyway, Women's Fiction. Tags: challenge, confidence, creative writing, creative writing tips, Crooked Cat Publishing, Feel The Fear and Write Anyway, fiction, genre, hybrid fiction, Rumer Haven, Write Despite, writing, writing success on March 24, 2016 by Margaret K Johnson. This is a great series, Margaret, and I always admire people who not only 'write despite' but also do things their way, and refuse to fit the mould. 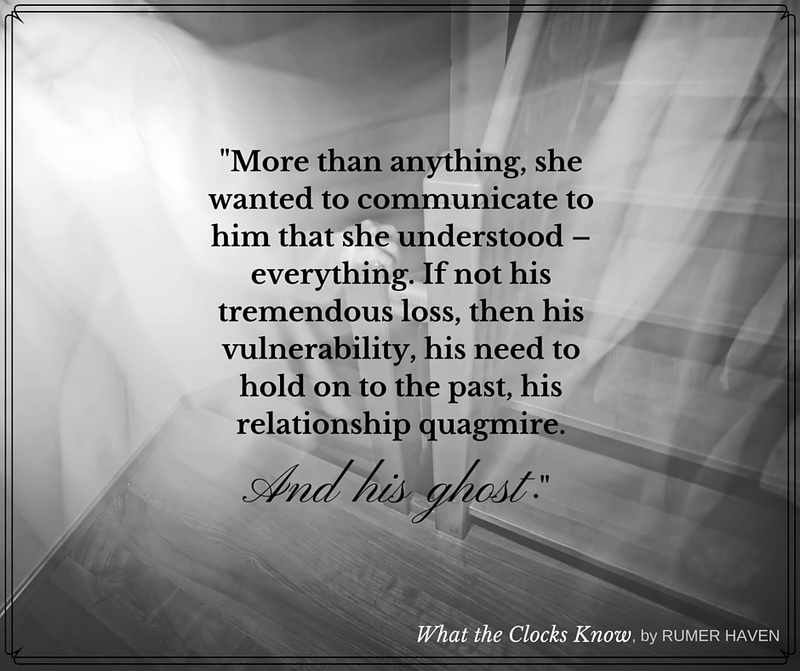 I had the pleasure of beta reading What the Clocks Know and I can highly recommend it, one of my top reads for 2015. This is such a cozy corner of cyberspace, Margaret! Thanks for inviting me here, and I agree with Shani that this is a brilliant blog series.